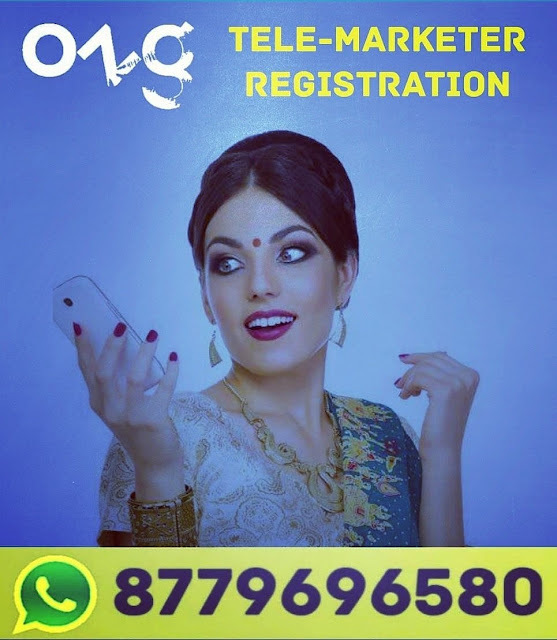 (1) The second party hereby declare that it has registered as a telemarketer with the Telecom Regulatory Authority of India vide application No.................and the registration number granted by TRAI to it is _________________. (2) The telemarketer shall be responsible for any misuse of telecom resources allotted it for the purposes of telemarketing. (3) The telemarketer shall maintain complete confidentiality of the data downloaded from the National Customer Preference Register for the purposes of telemarketing. (4) The telemarketer has agreed to make all necessary arrangements to download the data from the National Customer Preference Register website and update its Customer Preference data base in accordance with the procedure specified in the Schedule-II to the Telecom Commercial Communication Customer Preference Regulations 2010. 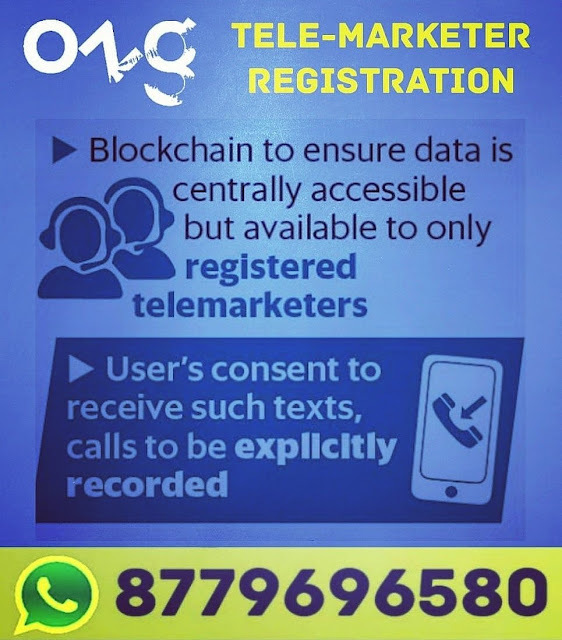 (5) The telemarketer has agreed that before sending any SMS or making a telemarketing call to a telecom subscriber, he shall scrub the telephone number of such subscriber with the data base received from the National Customer Preference register in the manner as specified in the Schedule- II of these regulations. In case, the telemarketer fails to follow the scrubbing process, telecom resources allotted to him shall be disconnected by the Access Provider from whom the telemarketer has taken the telecom resource for the purpose of telemarketing and his name shall be entered into the black list maintained by the agency maintaining the National Telemarketer Register for a period of two years. (6) The telemarketer shall use alpha-numeric identifier for sending commercial communication in the format having nine alpha numeric characters, first alpha numeric character being code of Access provider and the second alpha numeric character being code of service area, as provided under the direction dated 10th December, 2008 issued by TRAI. The third alpha numeric character will be dash(-) and the fourth being any single digit (1-7) with each digit indicating a specific category of SMS as per schedule-I of the regulations and last five characters being five digit unique identification code provided by respective Access Provider to the telemarketer e.g XY-5ZZZZZ, where X stands for code allotted to Access provider, Y stands for service area, 5 indicates that this SMS belongs to consumer goods and automobiles category and ZZZZZ indicates five digit unique identification code allotted to telemarketer by the Access Provider. (7) The telemarketer also agrees that the telemarketing calls to the subscriber whose telephone number does not appear in the National Customer Preference Register shall be sent only between 0900 Hrs to 2100 Hrs. The telemarketer also undertake not to send any commercial communication between 2100 Hrs to 900 hrs to any subscriber irrespective of the fact that such subscriber is registered on NCPR or not. (8) The second party has agreed not to sent commercial communications to any subscriber whose telephone number appears on the National Customer Preference Register, except for sending SMS in respect of categories of preference opted by the customer. (9) The second party has agreed to deposit with the Originating Access Provider an amount of rupees Fifty Thousand only (Rs.50,000/-) as refundable security deposit. Telemarketer also undertakes to deposit additional security deposit as specified in this agreement. The Originating Access provider shall be entitled to deduct from such security deposit, on issue of each notice for sending unsolicited commercial communication by the telemarketer, an amount as provided under this agreement. (10) The second party makes any unsolicited commercial communication, through the telecom resources allotted to it by the first party, to any subscriber whose telephone number appears in the National Customer Preference Register, the second party agrees that – (a) on the issue of first notice by the Originating Access Provider to the telemarketer for sending such unsolicited commercial communication, a sum of rupees twenty five thousand only (Rs. 25000/-) shall be deducted from the security deposit of the telemarketer and deposited in the account as may be specified by TRAI, from time to time; (b) on the issue of second notice by the Originating Access Provider to the telemarketer for sending such unsolicited commercial communication, a sum of rupees seventy five thousand only (Rs. 75000/-) shall be deducted from the security deposit of the telemarketer and deposited in the account as may be specified by TRAI, from time to time; (c) on the issue of third notice by the Originating Access Provider to the telemarketer for sending such unsolicited commercial communication, a sum of rupees eighty thousand only (Rs. 80000/-) shall be deducted from the security deposit of the telemarketer and deposited in the account as may be specified by TRAI, from time to time; (d) on the issue of fourth notice by the Originating Access Provider to the telemarketer for sending such unsolicited commercial communication, a sum of rupees one lakh twenty thousand only (Rs. 120,000/-) shall be deducted from the security deposit of the telemarketer and deposited in the account as may be specified by TRAI, from time to time; (e) on the issue of fifth notice by the Originating Access Provider to the telemarketer for sending such unsolicited commercial communication, a sum of rupees one lakh fifty thousand only (Rs. 150,000/-) shall be deducted from the security deposit of the telemarketer and deposited in the account as may be specified by TRAI, from time to time; (f) on the issue of sixth notice by the Originating Access Provider to the telemarketer for sending such unsolicited commercial communication, a sum of rupees two lakh fifty thousand only (Rs. 250,000/-) shall be deducted from the security deposit of the telemarketer and deposited in the account as may be specified by TRAI, from time to time; (11) The second party has agreed that on issue of first notice by the Access Provider to the telemarketer for sending unsolicited commercial communication to the subscriber whose telephone number appears in the National Customer Preference Register, the telemarketer shall deposit additional security amount of rupees two lakh only (Rs. 2,00,000/-) and on issue of third notice by the Access Provider to the telemarketer for sending similar unsolicited commercial communication, the telemarketer shall deposit an additional security of amount of rupees four lakh only (Rs. 4,00,000/-). (12) The second party has agreed that in case the telemarketer fails to deposit the additional security deposit or no amount is available in the security deposit of the telemarketer due to deductions made under clauses (10) of this Agreement, the telecom resources allotted to the telemarketer for the purposes of telemarketing shall be disconnected and the name of telemarketer shall be intimated by the Access Provider to the agency maintaining the National Telemarketer Register for entering the name of such telemarketer in the black list and the name of such telemarketer shall not be removed from the black list before the completion of the period of two years from the date of entering his name in such black list and the registration of the telemarketer shall be cancelled by TRAI under the provisions of the regulations. (13) The second party has agreed that in case of issue of sixth notice by the Access Provider to the telemarketer for sending unsolicited commercial communication as provided under clause 10(f) of this Agreement, without prejudice to the amount which shall be deducted from the security deposit of the telemarketer under clause 10(f), the telecom resources allotted to the telemarketer shall be disconnected without any further notice. The Access Provider shall intimate the name of such telemarketer to the agency maintaining the National Telemarketer Register for entering the name of the telemarketer in the black list and the name of such telemarketer shall not be removed from the black list before the completion of the period of two years from the date of entering his name in such black list and the registration of the telemarketer shall be cancelled by TRAI under the provisions of the regulations. (14) M/s...........................(name of telemarketer) has agreed that the telecom resources allotted to the telemarketer shall be disconnected without any further notice on receipt of disconnection notice from NTR. (15) The second party has agreed to abide by Regulations, Orders and directions issued by the Telecom Regulatory Authority of India, from time to time, regarding commercial communication including the header to be used for sending promotional SMS.